A mortgage is a debt instrument, secured by the collateral of specified real estate property, that the borrower is obliged to pay back with a predetermined set of payments. Mortgages are used by individuals and businesses to make large real estate purchases without paying the entire value of the purchase up front. Over a period of many years, the borrower repays the loan, plus interest, until he/she eventually owns the property free and clear. Mortgages are also known as “liens against property” or “claims on property.” If the borrower stops paying the mortgage, the bank can foreclose. It’s vital to carefully think about how much mortgage you have the financial means to pay for before you search for a place of residence. Keeping affordability in mind at the start will be a cost-and time-saving measure because you will not make any offers for homes beyond your budget or make applications for financial loans that are out of your ballpark. It’ll be more convenient to acquire a mortgage loan and, where called for, you’ll be knowledgeable enough to implement creative steps in the direction of bettering your fiscal and your credit record. In broad terms, the majority of people are financially ready to acquire a house worth roughly 3x (three times) their total gross yearly income, allowing for a 20 % down payment. Mortgage providers have conventionally required you to submit all monthly payments utilizing only up to 28-44 percent of your income per month, your Debt t Income (DTI). That is to say, if your monthly income is $2,000, the loan provider would normally expect you to have no more than $ 880 (44/100 x 2,000) toward your total mortgages financial obligations. A detailed report of an individual’s credit history prepared by a credit bureau and used by a lender to in determining a loan applicant’s creditworthiness. An FHA loan is a mortgage insured by the Federal Housing Administration / FHA. The Federal Housing Administration doesn’t provide the money taken on loan, rather, they insure the loan for the loan supplier. In case the debtor fails to repay the loan, the loan provider is entitled to seek redress from the Federal Housing Administration. This lessens the loan provider’s risk and also makes them more likely to issue a loan. 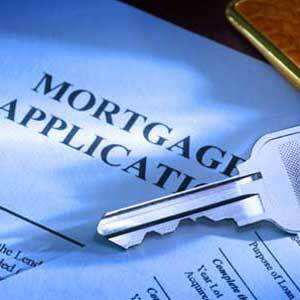 One of the benefits of a loan insured by the FHA is affordable loan mortgage interest rates. In the case of one-family residences, down payments could be as modest as 3.5 %, making it likely to find the money for a higher priced home than could be possible with a more standard 10 % ,15 % or 20 % loan mortgage. The Federal Housing Administration can additionally help home buyers finance their closing costs, and even provides mortgage insurance. Enough cash for a down payment, that can be as small as 3.5%. In order to get a product insured by the FHA, you should identify lenders approved by the Federal Housing Administration and compare the loans they offer. Inquire about the income eligibility criteria, and fees, which will differ from one bank to another. Also keep in mind that FHA-insured loans have a limits.